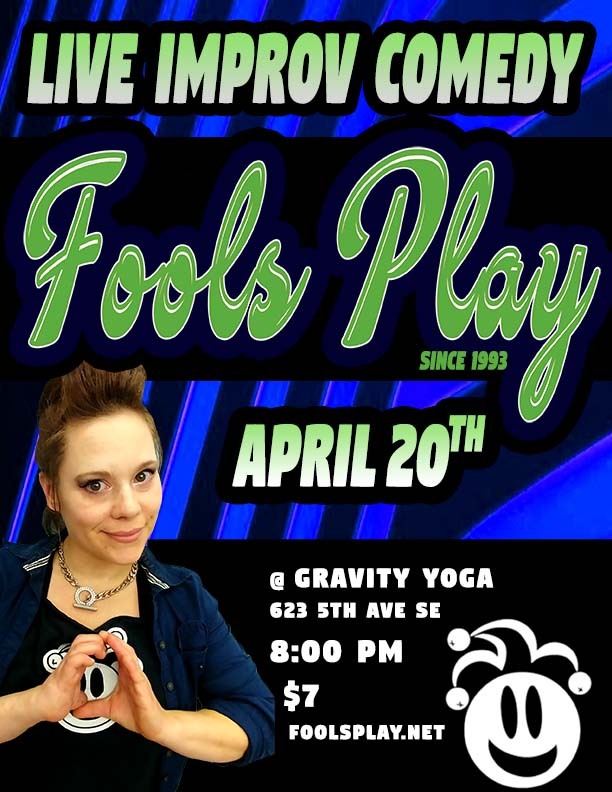 The Fools present an epic comedy variety show featuring a combination of short and longer improv selections. It's all presented by a talented cast who are endlessly passionate about providing ridiculous characters, stories, situations and music in a completely original production. Many of the Fools have been performing together for years. They present a tight and precise form of entertainment full of original, improvised material that has to be seen to be believed. Don't miss the fun in Olympia! The cast of Fools Play has two rules: Have Fun, and Don’t Be Afraid. 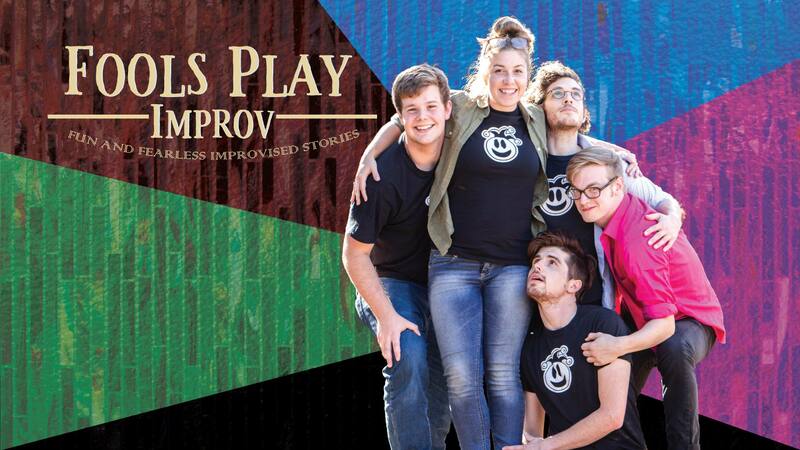 They take those rules and perform two longform improvised stories full of characters, drama, and humor. For 20-40 minutes, during each story, inspired by each other and you, we get to inhabit the lives of characters in worlds familiar or strange for an epic journey or an intimate glimpse. Entirely improvised, we never know what will happen, but we do know we love discovering these stories. Concessions, including alcoholic beverages will be available for purchase from Tacoma Little Theatre. Get tickets and see upcoming show schedule.